Hellfire Citadel opened its doors a while ago and many guilds are still progressing on both normal and heroic difficulty. Tanks: Switch tanks due to the Slam debuff. Don’t stand in the fire. If marked by Howling Axe move away from other people. Healers: Dispel Conducted Shock Pulse. Don’t stand in the fire. If marked by Howling Axe move away from other people. 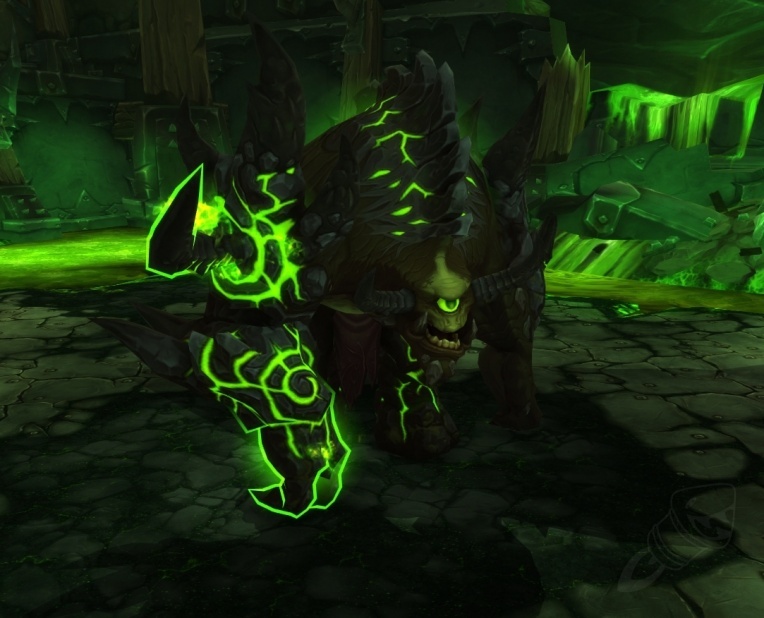 Damage: Kill targets in the following order: Siegemaster Mar’tak, Siege Vehicles, Gorebound Felcasters, Hulking Berserkers, Contracted Engineers, Iron Dragoons. If a Felcaster uses Metamorphosis, kill him immediately. 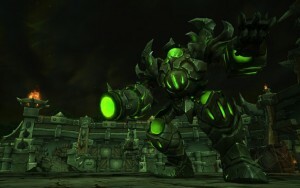 Interrupt Felfire Volley and Incinerate from Felcasters and Repair from Engineers. Dispel Conducted Shock Pulse. Don’t stand in the fire. If marked by Howling Axe move away from other people. Tanks: During the ground phase switch tanks when targeted by Artillery. If targeted by Artillery, run away from the group. Dodge Barrage and Blitz, don’t stand in Immolation and make sure to have enough space between you and all other members of the raid for Unstable Orb. During the air phase help destroying the bombs and run away from your raid if you are targeted by Artillery. Dodge Falling Slam and Firebombs as well as Immolation. Healers: During ground phase save healing CDs for Pounding. Dodge Barrage and Blitz, don’t stand in Immolation and make sure to have enough space between you and all other members of the raid for Unstable Orb. During the air phase help destroying the bombs and run away from your raid if you are targeted by Artillery. Dodge Falling Slam and Firebombs as well as Immolation. Damage: During ground phase damage the boss. Dodge Barrage and Blitz, don’t stand in Immolation and make sure to have enough space between you and all other members of the raid for Unstable Orb. During the air phase destroy the bombs and run away from your raid if you are targeted by Artillery. Dodge Falling Slam and Firebombs as well as Immolation. Tanks: Switch tanks every time Komrok uses Explosive Burst, Foul Crush or Swat. Don’t stand with your back to a pool when Komrok uses Swat. 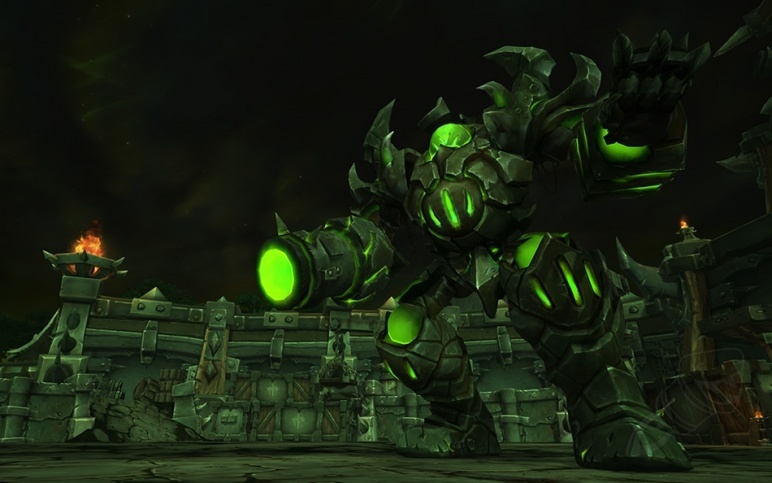 Dodge Leap and the waves from (Empowered) Fel Outpouring. Stand away from each other during Pound. Move away from the other tank if he is affected by Explosive Burst. Cuddle up with your raid for each Grasping Hands and Dragging Hands. Healers: Save your healing CDs for Pound. Watch out for Explosives Runes (see below). Dodge Leap and the waves from (Empowered) Fel Outpouring. Stand away from each other during Pound. Move away from the tank who is affected by Explosive Burst. Cuddle up with your raid for each Grasping Hands and Dragging Hands. 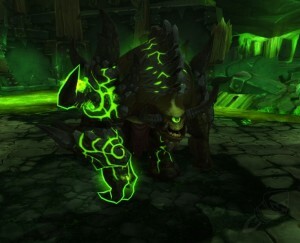 Damage: Target Grasping Hands, Dragging Hands and Crushing Hands first, then damage Kormork. Watch out for Explosives Runes (see below). Dodge Leap and the waves from (Empowered) Fel Outpouring. Stand away from each other during Pound. Move away from the tank who is affected by Explosive Burst. Cuddle up with your raid for each Grasping Hands and Dragging Hands. Special: Explosives Runes: Kormrok places 5 runes on the ground which have to be triggered by different players before they explode. If Kormrok is empowered, these runes spawn in a a circle and do not despawn after beeing triggered. Instead they respawn a few meters / yards in front of the player who detonated them. To make them despawn it is necessary to stack them, so the direction from which you trigger a rune is very important. 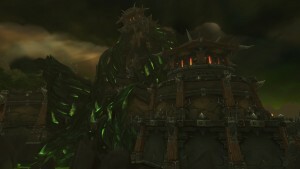 This entry was posted in Blog, Gaming, World of Warcraft and tagged Guide, Hellfire Citadel, TL;DR, World of Warcraft. Bookmark the permalink.